Just one date on the calendar, inspiring dread in the hearts of all the boys of Olney Elementary School. The girls were all excited: Debbie Scott, Kim Ladson, Geena, Nancy, Susie, Joyce and Lori Nash. I doubt my tomboy girlfriend Mandy ever made much of Valentine’s Day—if it wasn’t a sporting event, it wasn’t worth her attention. She could sit with the guys any time. That’s what I liked about her. But the other girls were gossipy and giggly—positively brimming over with pink hearts and kissable puppy dogs. Can’t recall if there was any formal class ceremony, but at some point those little sealed envelopes went around. Either it had your name on it or it didn’t. I’m sure our teacher, Mrs. Husman, did everything in her power to make certain everyone felt included. But one teacher’s intentions and the brute force of elementary school social politics are two entirely different things. It was February, 1970. 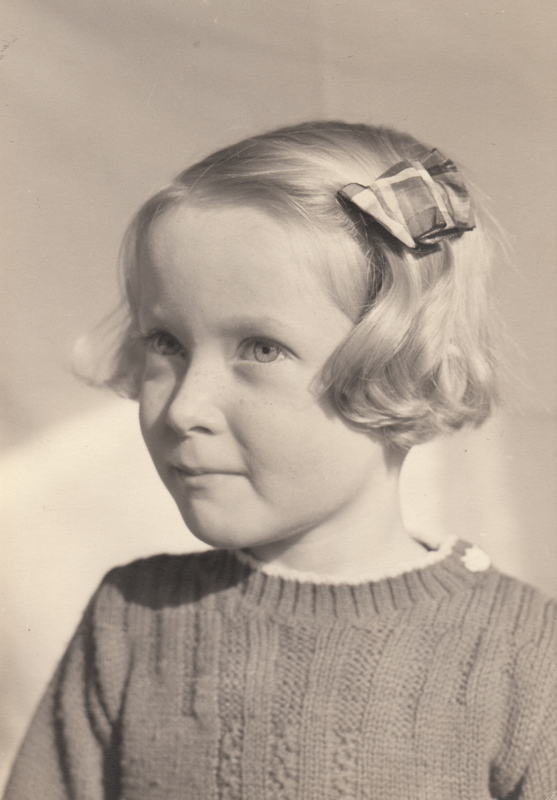 Mom (pictured above, probably in the late 1930s) would be celebrating her 35th birthday on February 10th. I’d be graduating from Olney Elementary in the spring, and the following autumn starting at the “big kids” school, Farquhar Middle School. I’d grown pretty close to my fourth grade class, so I was anxious about the change. My buddies Terry Ryan, Sam Nesbitt and Jay Wickman would also be moving on. The kids in my class were a hodgepodge: Cynthia Jones and I liked to joke around, Susie Lyerly attended the same Methodist Church as my family, and Wesley Rankin always showed up in class with his shirttail untucked. And there was sweet little Lori Nash, who once invited me to her birthday party. I barely remember it, out past the new housing tracts, where the skeletons of future model homes stood next to lived-in homes. The birthday party was held outside that spring, with cloth-covered picnic tables, cake, and games for the kids. Mom drove me there, probably assuming Lori was my latest girlfriend, which wasn’t the case at all. Lori was a wispy thin blonde with a sweet smile and soft eyes. I’ll always remember her from the yellow dress she wore in our class picture (row down from Mandy, to Mandy’s right). What I do recall is the feeling of walking into our classroom and gauging the energy just by the kids who were in it at the time. I was feeling more expansive, coming into my own, just as we were closing down our last year at Olney Elementary. That expansive energy also found another avenue. The Alyward kids, two houses down from ours, used to playact stories in their barn. We—Matthew, Peter, and older sister Kathleen—used the barn loft as our stage. Kathleen was probably 15 or 16, while I’d only turned 10 the previous fall. I made Kathleen laugh and she returned the attention. It was the first time I remember a reciprocal sensation, a “butterflies-in-the-stomach-we’re-in-this-together-gosh-I-really-like-you” sort of way. I’d kissed a girl, maybe two or three: Tara and Tonya … and perhaps Mandy, too. But this thing with Kathleen was a different feeling, more like a tacit understanding. The Alywards were very affectionate—something I never recall seeing between my own parents. 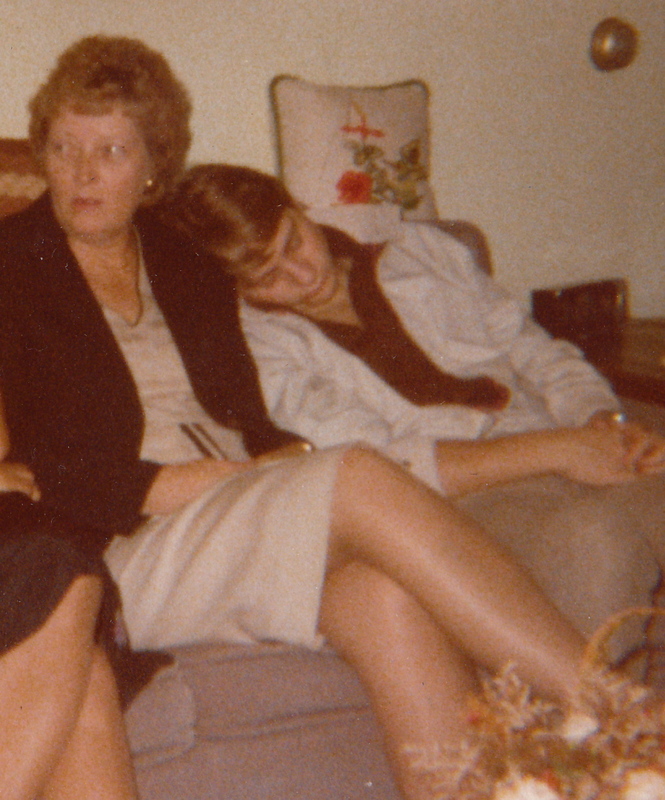 Mom was more nurturing and affectionate than Dad. Perhaps because of that I felt a pull toward needing more and more affection. And then suddenly I’d retreat and go off on my own, nursing some resentment that most likely had no basis in reality. Mom’s first lessons in marriage were obviously her parents’ relationship—two people who’d basically checked out of Cupid Camp well before Grandpa had cheated on Grandma. That legacy fell on Mom’s shoulders. I’m certain my parents’ marriage wasn’t all it appeared to be, either, but they stuck with it. If relationships are a dance, someone has to lead. Dad probably stepped on Mom’s toes time and time again, but he still led the dance. Maybe it’s true that the first love of any boy is his mother; the bond, if it’s solid, is permanent. I miss Mom like all get-out. What I wouldn’t give to receive a Valentine’s Day card from her now. ~ by completelyinthedark on January 9, 2011.